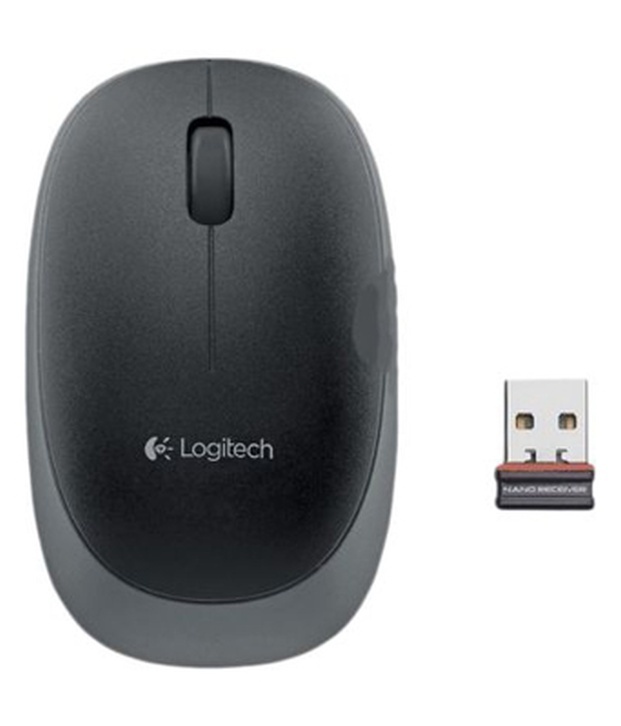 Convenience you can depend on Logitech M165 Wireless Mouse is the best wireless mouse available in its category at such a low cost with 1 year logitech warranty. Wireless you can depend on You can be sure this mouse will work, and keep working, just like you'd expect from a Logitech mouse-all without cords or clutter to get in your way. Logitech M165 Wireless Mouse from the house of Logitech is a great product that delivers long lasting quality. Logitech has been in the field of innovative products by integrating technology and style with good quality materials to produce useful products for people worldwide. Logitech M165 Wireless Mouse is a simple plug and play mouse. Attach the Nano receiver to the USB port of the computer or laptop you want to operate and wait for the software to configure the system. Once it is done, switch ON the mouse’s button and start operating. It forms a great tool without the hassles of wires getting tangled while operating and gives a great user experience. The complete package of the wireless mouse from Logitech comes as a set of Mouse, Warranty Card, Nano Receiver and 2 AAA Batteries. It has a resolution of 1000 dpi and uses optical reception technology for navigation purposes. The mouse is compatible with operating systems like Windows Vista, Windows 7, Windows 8 and iOS. The high-resolution wireless mouse uses advanced 2.4 GHz wireless connectivity gives an edge to the user for quicker navigation. Also, since it uses optical sensors, you do not have to worry about the mouse encountering ‘drunken mouse syndrome’ as in the case of the traditional mouse. Use an opaque surface for better results with this mouse and see the mouse operate from a distance of even 10 m radius. Logitech M165 Wireless Mouse has a black colour with the scroll wheel on its console at the centre. Meant to be a small and compact to easily fit in your hands, this optical mouse has a great ergonomic edge thanks to the rounded body and easy and crisp scroll button. The mouse weighs only 75 grams and the receiver, only 1.8 grams - making it easy to fix on your computer or operating device without the fear of getting broken or lost.